At an audition all your hard work comes to just one song, so here are best group songs for talent shows to choose from and win that competition! Talent shows have certainly changed in the last decades. They have become a distinctive kind of reality shows, and people are being blown away every week by new aspiring contestants. Throughout the competition, the viewers and audience are biting their nails in the nerve-wracking eliminations. As a contestant, you know it is much worse for you since you aren’t supposed to reveal even the tiniest part of your stage fright or nervousness as it may impede your performance. On the plus side, being in a group helps immensely. Whatever happens, you’re in it together. Be it success or failure; you will share it with the people you love. On the other hand, a group usually has the challenge to stand out from the other participants once you get to the finals. So far, British girl group Little Mix is the only group ever to have won The X Factor. Generally, solo artists are more appreciated, and it is easier for them to become noticeable and lovable by the millions. One of the indicators is your present search for the suitable songs. You’ve noticed there are heaps of suggestions for best female (or male) songs for the singing competition. As for the good songs to sing for auditions for groups. Well, we already know you are feeling very fortunate to have found us and are giving thanks to your lucky star as you’re reading this. 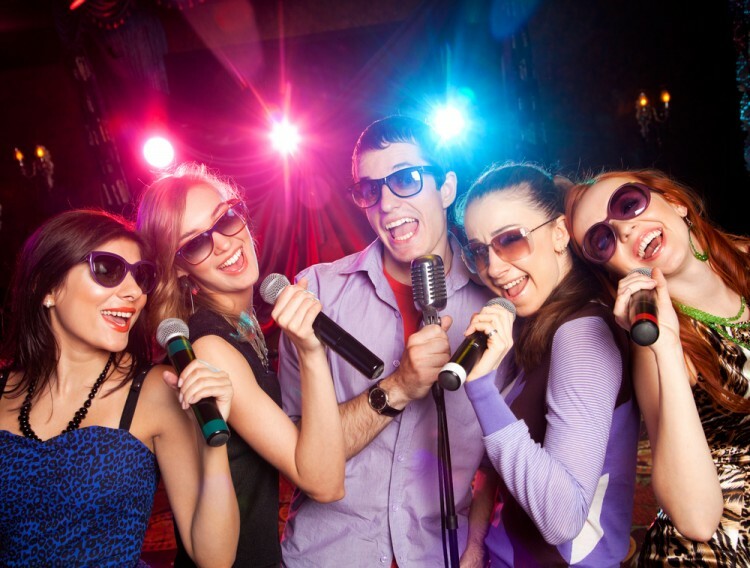 If you’re not too serious about competing, check out best karaoke songs for groups. Since we have all agreed to find the list of best songs for groups and bands was no mean feat, let us see how we compiled our list of best group songs for talent shows. Firstly, there will be plenty of good songs to sing acapella as well as good solo songs to sing. Acapella singing is no longer considered as something archaic and obsolete. It has always been there, but it has really taken off in the recent years. Blockbusters such as Pitch Perfect have certainly done their share in showing how cool acapella singing is. Therefore, we though you might look up to Pentatonix, a quintet that won The Sing-Off show and walked away with $200,000 cash prize and a Sony contract. We took notes from them, i.e., we checked Since most talent shows deal with pop music, it was completely natural to turn to the most popular girl and boy bands in the whole world. You guessed it; we’re talking about British bands Little Mix and One Direction. True, the latter doesn’t exist anymore, but Little Mix is selling millions of records as we speak. Our sources were Billboard, BBC and Teen Vogue (both for girl/boy bands and acapella singing). We feel positive our suggestions could also turn out to be pretty good songs to sing at a talent show in middle school, or good songs to sing at a talent show in elementary school. One last thing before you start singing to the melody. We are talking about groups here, so it would be utterly rude not to mention K-pop bands. However, we believe they are so specific, that K-pop songs can be dealt with perhaps in another article. If you are a fan who is keen on trying anyway, you can try singing along with the K-pop boy bands’ most popular songs, or K-pop girl groups’ videos. Or perhaps you prefer Japanese bands, like the ones in most popular Japanese girl bands. The latest news is that a brand new K-pop band with no Korean members have emerged, but the opinions differ whether it was the right thing to do. The reviews are mostly negative. To this end, if you are a K-pop fan, avoid singing K-pop songs unless the audition judges (and the audience) are well acquainted with Korean pop. So, are you ready to start singing? We know you’re bound to sing along to the videos we posted on our list of best group songs for talent shows. The songs are listed in no particular order. Enjoy! Pentatonix took a song that hardly anyone could associate with acapella singing, and blew the stage. Surprises always work for the judges. Now with this one, you can really show off how high you can sing. Next one on our list of best group songs for talent shows can work like a charm if you are confident and cute enough to cover the Beatles’ song. Believe it or not, but One Direction, a boy band, sang a song by a female singer about unfortunate love, and stole the show! Maybe you could do that, too! Apparently, it seems the key to boy band success might be lying in singing songs by female vocalists. One Direction got a lot of praise. Perfect and powerful for acapella singing on our list of best group songs for talent shows. Do you know this is the song that won the show? British boys singing Kids in America. This one could be good for elementary school talent show songs, too. If you really want to show off your group’s incredible singing abilities, opt for this one that ranked third on our list of best group songs for talent shows. A song with a specific beat that could also be included in a list of talent show songs to dance to. And the last song from our choice of best group songs for talent shows is the (unexpected) Rihanna’s Only Girl in the World. One Direction performed it on X Factor, but we do believe it is also an excellent song for female voices, too. Either way, we wish you the best of luck on your way to stardom!